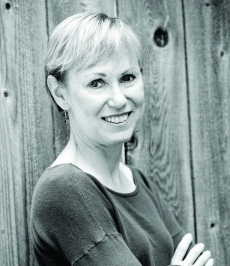 The granddaughter of immigrant coal miners, Marian Szczepanski used her family background as inspiration for Playing St. Barbara (High Hill Press, 2013), praised by Huffington Post as “a stunning debut novel that shimmers with unforgettable characters while casting necessary light on a dark chapter in American history.” Her short fiction has garnered the DeMaine Award for an Emerging Writer from Clackamas Literary Review. She has received fellowships, grants, and awards from Hedgebrook, Vermont Studio Center, the Writers’ Colony at Dairy Hollow, and the Houston Press Club. She holds an MFA in fiction from the Program for Writers at Warren Wilson College and a BA in American studies from the University of Notre Dame. Named to the Houston Press roster of “100 Houston Creatives” for 2014, Marian teaches creative writing workshops at Writespace and beyond. Deirdre Sweeney saw him first. My goal in workshops is to encourage each student to explore his/her unique creative vision and become a more confident, skilled writer. I teach the way I was taught: to read widely and critically in order to identify and study the essential elements of craft, to apply those elements to my own work, and to embrace the discipline of revision. I'll introduce craft issues (characterization, setting, dialogue, etc.) with a brief lecture format, but my main focus is offering students short excerpts from literary works, both classic and contemporary, that demonstrate those issues. The excerpts provide the perfect springboard into discussion and in-class writing exercises. If each student leaves with at least one new idea he or she can immediately apply to work-in-progress or use as a kick-start to brand new work, I will have done my job as teacher.